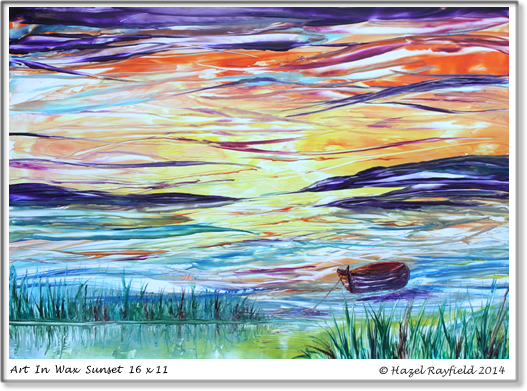 This is a new collection of hot wax paintings exhibiting here for 2014. 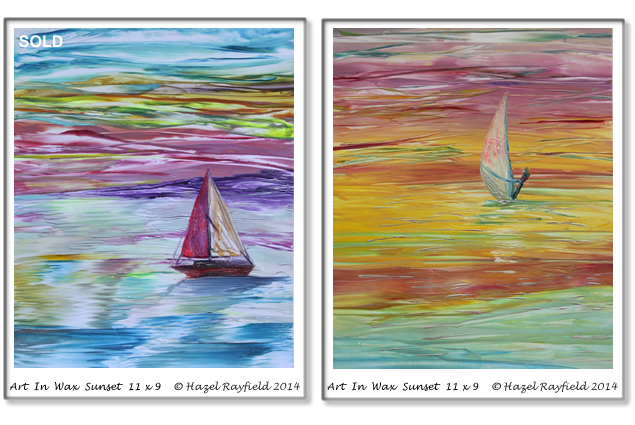 Each painting is created in encaustic wax. 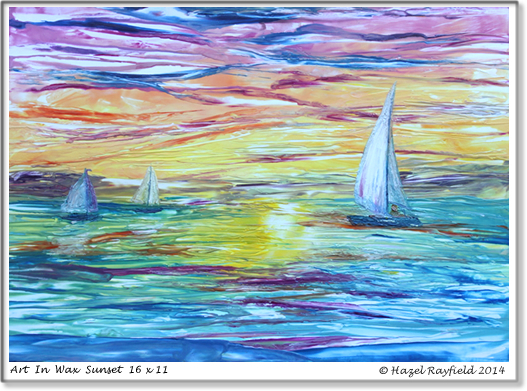 They are various sizes ranging from 16 x 11 inches to 8 x 6 inches. 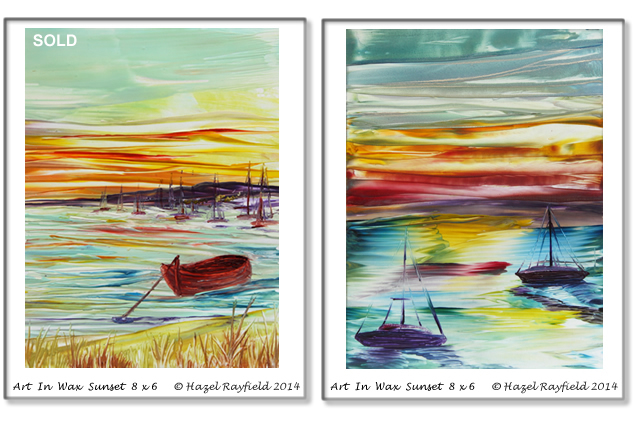 I thought it might be fun to experiment with lots of colour but have a change from my favorite floral subjects, we live by the sea and although the sunsets here in Southend are fantastic I have used my imagination in this collection of paintings which have an impressionist style and a lot of wax ! !